Rachel has just received a session of bodywork that is a cornerstone in a direct and practical teaching of unity. This teaching, called Breema®: The Art of Being Present, encourages harmony between the mind, emotions and body. It was created in the early 1980s in the San Francisco Bay area out of the common experimentation of a group formed by Dr. Jon Schreiber. In his book Self-Breema: Exercises for Harmonious Life, the author recalls realizing, “I was actually searching for the very essence of holistic health,” and adds that he wanted a practical system to share with others. For nearly three decades, the Breema Center, located in Oakland, California, has been teaching this system. 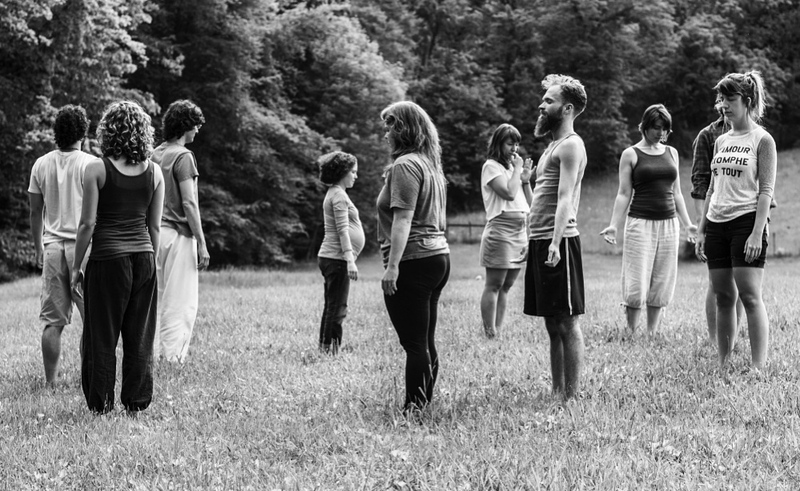 Breema includes nurturing and playful bodywork, self-bodywork and an integration of the “Nine Universal Principles of Harmony” (see sidebar on opposite page). Schreiber, director of the center, says that as with Rachel's description above, clients (over) (report that a treatment or class has changed their lives. The floor-based bodywork and self-bodywork may be both energizing or sedating, and a session always attunes itself to the needs of the individual. This can create such profound nurturance and comfort that people often spontaneously let go of stress, tension and worry. A practitioner's gentle, yet confident, quality of touch sometimes fosters priceless insights into a person's inner identity, as opposed to ideas or images; the self-bodywork can have the same effect. “Breema is not something you learn or add on to your accumulated knowledge,” Schreiber says, adding that most people have not experienced moments of moving naturally since early childhood. “The normal ways in which we use our bodies is due mostly to learned behavior. Breema is a sort of unlearning of those behaviors to find our most natural expression,” he says. Thankfully, this “unlearning” requires “No Force,” one of Breema's nine principles. Of the hundreds of Self-Breema exercises, all of them invite a person to let the body choose what is comfortable rather than instruct the body to achieve a set form. This helps the mind join in the process not as a director, but as a receptive participant who can enjoy everything that is being experienced, as well as the process itself. With this gentle direction comes a new vitality that always is available but often has been blocked by the busy activity of the mind. In the Self-Breema exercise called “Having a Taste Opens Us to Life” (see illustrations at right), you are encouraged to “let the arms have their natural weight.” If today that means only a slight lean of the body, this is Self-Breema. If to-morrow or five minutes later the body leans farther, this is still Self-Breema if you truly are honoring your body's comfort in this moment. When you notice that you are lost in thoughts of the past or future, simply register the body's breath or weight. Through this practice, know that on an essential level, you are already perfect, already in harmony. From here, you can become familiar with each of the Nine Principles, not intellectually but by direct experience. According to Schreiber, the Nine Principles are key because they support you to let more of life be like a Breema class, whether you are alone, with friends or in a group of strangers. His introduction to Breema came when his partner, Wanda Eubank, gave him a treatment. For Eubank, a licensed clinical social worker, this giving of Breema was a receiving for herself. She says that she is nourished throughout life by truly knowing there is no other place to be, just this single moment, this single activity – another of the Nine Principles. It actually is easy to see the expression of any principle in any of these descriptions because Breema is a hologenic system in which the principles are interrelated. Bit by bit, students learn that they need not create disharmony by getting tangled in ideas, images and judgments. With this insight comes a newfound freedom, a light-heartedness and ease. David Pratt is a Certified Breem Instructor and is co-owner of True Nature Holistic Retreats in Millersburg. He teaches throughout Ohio and gives treatments at True Nature. Also a Licensed Massage Therapist, David has been practicing massage and bodywork since 1997 and believes in the power of touch to heal and transform.